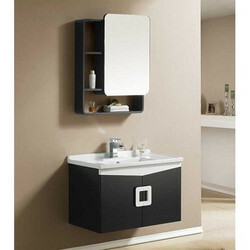 Offering you a complete choice of products which include wood bathroom cabinet, bathroom vanity and mirror cabinets. Chhabria & Sons deals with a wide range of bathroom furniture having a vast collection of designs to choose from. 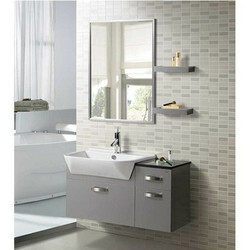 We also offer various types of bathroom furniture like wall mount bathroom furniture and floor mount bathroom furniture. Different types of furniture available are engineered wood bathroom cabinets, wooden bathroom cabinets, stainless steel bathroom cabinet, PVC bathroom cabinet, and Bathroom Vanity. We also offer customized bathroom furniture, Modular bathroom furniture and also wash basin cabinet furniture, available in a number of options to choose from. Mirror Cabinet: a place for everything to keep everything in its place. Our Mirror cabinets are world class product in its design, Quality and Service.